This Frontier Needs Heroes have been logging thousands of miles in their car, touring the greatest cities of North America and Europe, selling one record at a time, making one fan at a time. This determination and DIY ethos brought them on an epic journey around the world, playing clubs, houses, and festivals. They have performed at Folk Alliance International, Magnolia Festival, Hickey Fest, Gamble Rogers Folk Festival, Gram Parsons Guitar Pull, End of the Road (UK), Reeperbahn, Incubate, Athfest, Clean Water Music Festival, Connection Festival, Daytrotter, Savannah Stopover, WDVX Blue Plate Special, Stetson Kennedy Foundation Literary Landmark Celebration, and the winner of the Artsville Songwriting Contest. 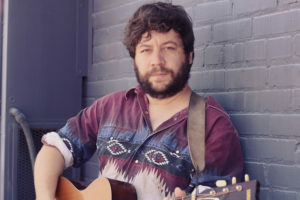 Originally from Brooklyn, New York, songwriter Brad Lauretti is now based in Nashville, Tennesee and is the founder of the Stetson Kennedy Songwriter Residency in Fruit Cove, Florida.